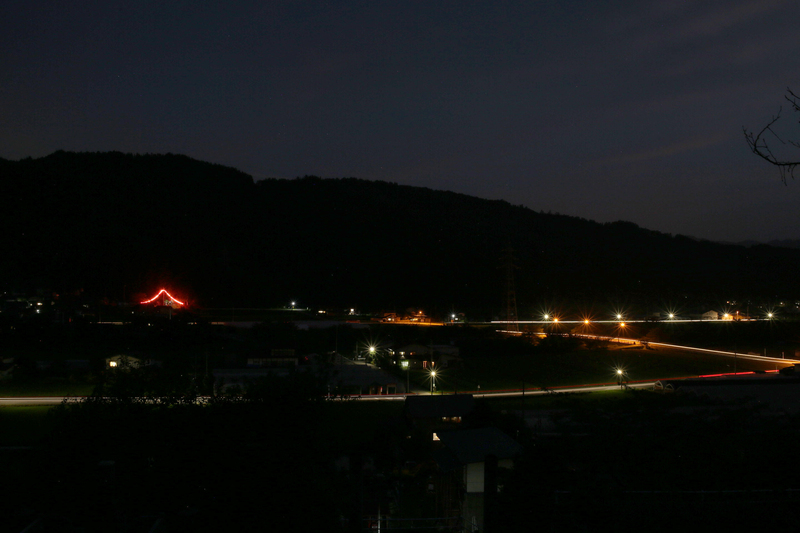 In the town of Kokufu, which is between Takayama City and the town of Furukawa, we can witness some rare scenes during O-bon. Therefore, we refer to this as Goshourai (the return of the spirits). 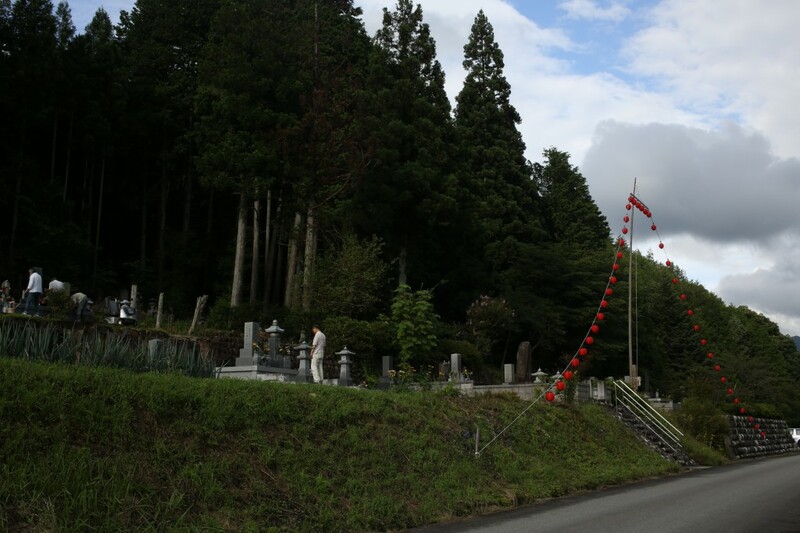 The dead come back to the present world from heaven during the O-bon festival (from August 13th to the 16th). Therefore, we refer to this as Goshourai. Goshourai is practiced to help guide ancestors home with a light in the darkness or a fire to show the path for them. In other areas, it is called Oshourei or Oshourai. Also we use the expression Goshourai-san with a friendly feeling toward the dead. We stay with the dead during the O-bon festival in each family. In fact, of course, we cannot see the dead, but we believe that they stay for a few days in our homes. 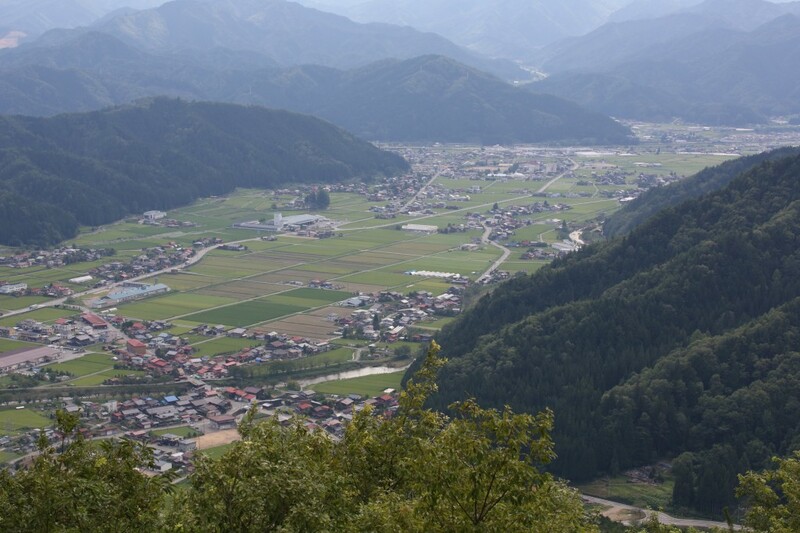 In part of the Kokufu area, especially near the Araki River, there are nine communities. We can see rare scenery around this area. Each community is decorated with lights in the form of Mt. Fuji. Their height is around five meters. 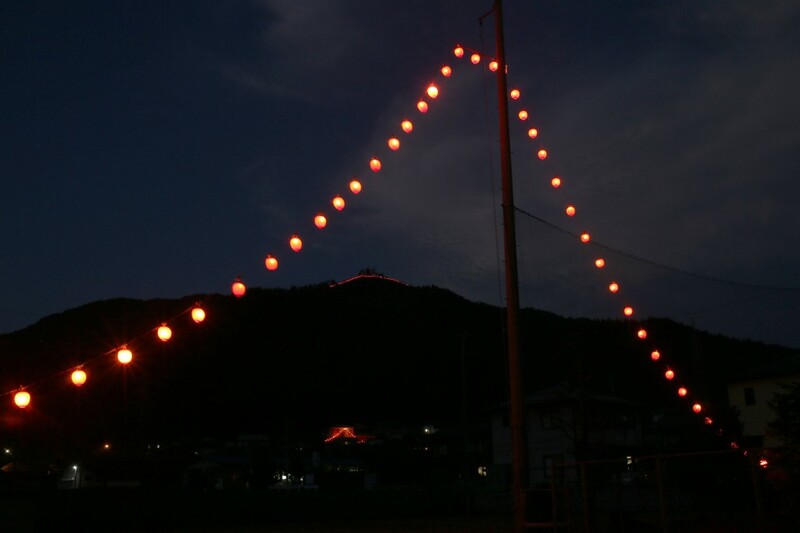 It is possible to spot one of these lighted forms from far away, because they are big, and 44 red lanterns for O-bon are glowing in the evening. At the present time, we celebrate the O-bon festival from August 13th to the 16th; however, this O-bon festival used to be held from September 1st to the 3rd until 1968. People who lived in those communities didn’t work for three days. But on the morning of the first day, they prepared the foods for all three days for their horses or cows. Also, people made some Houba-mochi, which we explained the time before last. The rice cake (mochi) was a special food at that time, even though we can eat them at any time nowadays. On the evening of the first day, people used to gather at the Akiba-shrine, which is the local shrine. There they conducted a ceremony so that the dead could come back to this world safely. After the ceremony, people would eat Houba-mochi together and the children would light hand-held fireworks. Also they would blow a conch shell at the beginning and end of the three-day O-bon celebration. We don’t know exactly when and why the custom of the Goshourai decoration was started. There was the Tanabata festival until 1921, and they had a similar custom of decorating according to a historical book about this area. It may be that the Goshourai custom was originally part of the Tanabata Festival but now it forms part of the O-bon celebration. 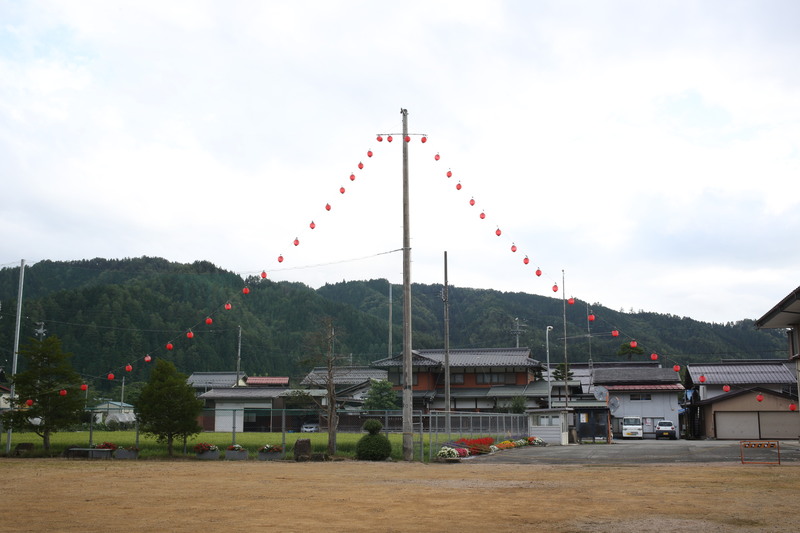 There are some communities that participate in the custom of Shourou-nagashi. It is a memorial and farewell service for the spirits of the deceased. During this service, paper lanterns are floated on rivers on the last day of O-bon. 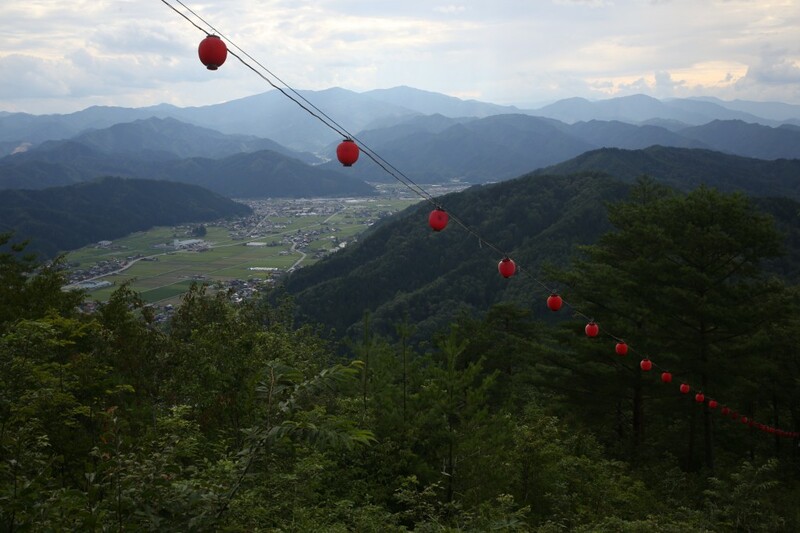 People began creating big Goshourai decorations at the top of the two mountains in this area in 2001. The residents pray for good health and family harmony, including the welfare of their ancestors and their descendants. This event establishes a connection between this world and heaven. We Japanese value the connection of our ancestors to our descendants.